MOSCOW (Sputnik) - A Falcon 9 launch vehicle has successfully blasted off from Cape Canaveral Air Force Station in Florida, carrying Israel's first lunar mission, Beresheet, Indonesian communications satellite Nusantara Satu, and the US Air Force Research Laboratory S5 spacecraft, a live broadcast on SpaceX's website showed. On Friday, Israel's Beresheet space robot will blast off from Florida to land on the moon in a mission that will be propelled by one of Elon Musk’s SpaceX Falcon 9 rockets. 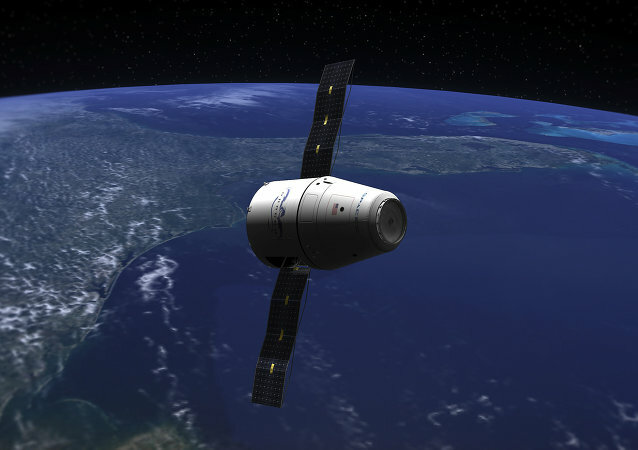 After detaching from the launcher, the spacecraft will orbit the Earth for a few months before landing on the moon in late April. WASHINGTON (Sputnik) - US aerospace manufacturer SpaceX said on Friday it had carried out a static fire test of the company's Falcon 9 rocket, which in February will conduct an unmanned launch of a Dragon 2 spacecraft. 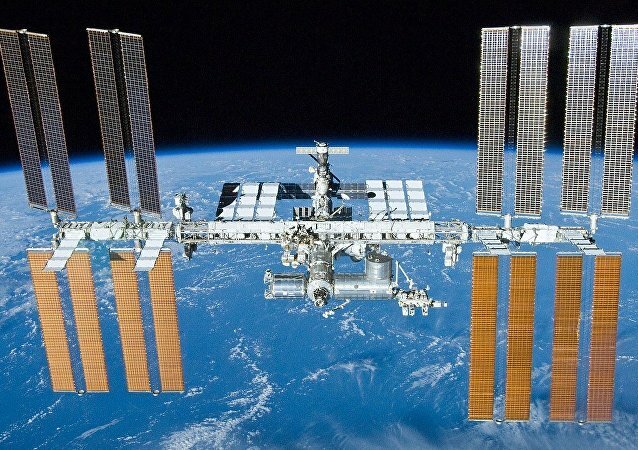 WASHINGTON (Sputnik) - US cargo spacecraft Dragon left the International Space Station (ISS) after a month in the orbit and is expected to land in the Pacific later on Monday, the spacecraft's manufacturer SpaceX reported late on Sunday. SpaceX’s speedy net-equipped boat, Mr Steven, came so close to catching the falling rocket payload fairing out of the sky during a recent test. MOSCOW (Sputnik) - A SpaceX unmanned Dragon cargo spacecraft arrived at the International Space Station (ISS) on Saturday, the US National Aeronautics and Space Administration (NASA)’s live stream showed. MOSCOW (Sputnik) - The launch of Falcon 9 rocket in California, which is supposed to deliver cargo for the Spaceflight SSO-A: SmallSat Express mission to low near-Earth orbit, was postponed from Sunday to Monday due to additional checks of the vehicle's second stage, the launch vehicle's developer SpaceX reported on Sunday. WASHINGTON (Sputnik) - US aerospace manufacturer SpaceX has renounced the idea of upgrading the second stage of its Falcon 9 launch vehicle for its reusability, Elon Musk, SpaceX co-owner and CEO, said on the night into November 18. Many Californians went to the social media after they watched odd light rocketing among the stars over California. The show was put on by the SpaceX rocket, which launched overnight on the West Coast from a base some 200 km away from Los Angeles. Earlier the US Air Force had issued a warning about the sonic booms and flashes, this might cause. 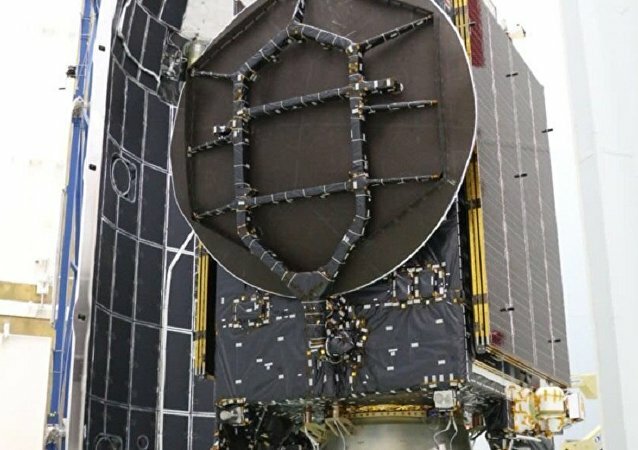 WASHINGTON (Sputnik) - SpaceX's Falcon 9 rocket with Canada's Telstar 19V communications satellite was successfully launched from Florida’s Cape Canaveral Air Force Station on Sunday, the company reported. WASHINGTON (Sputnik) - A SpaceX Falcon 9 rocket carrying a Dragon X spacecraft loaded with 5,800 pounds of scientific experiments, crew supplies and hardware headed off to the International Space Station on Monday afternoon. 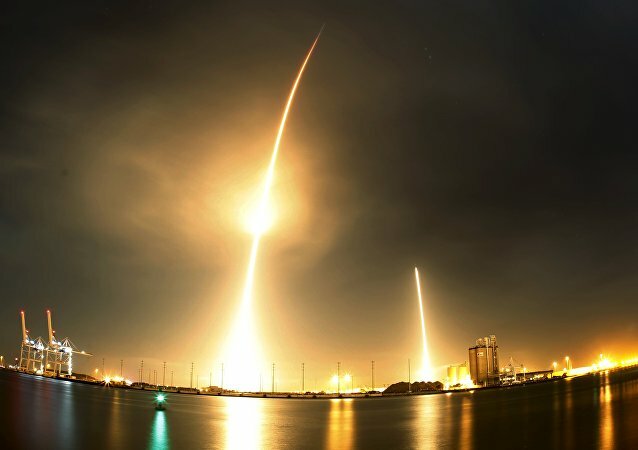 WASHINGTON (Sputnik) – A radar-imaging satellite entered low earth orbit following a flawless liftoff atop a Falcon 9 rocket in a launch broadcast over the internet by the rocket's manufacturer Space X on Thursday. The US private space transportation company SpaceX has announced a successful launch and landing of the Falcon 9 rocket, bringing a secret satellite of the US government into orbit. 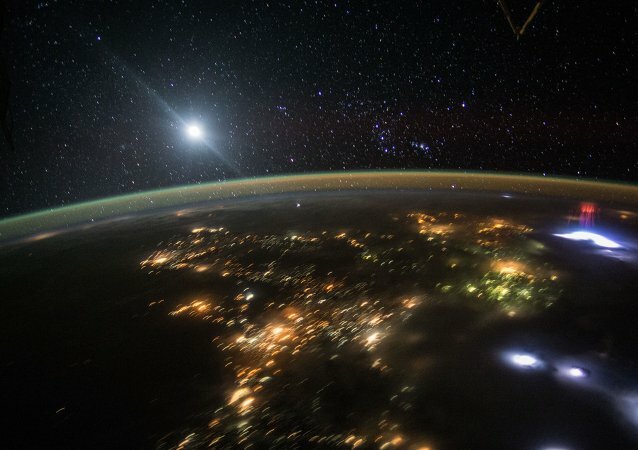 A space rocket launch conducted in California produced a peculiar optical phenomenon in the night sky over the American state, leading some to speculate about a possible extraterrestrial spaceship sighting. WASHINGTON (Sputnik) - A Falcon 9 rocket with a reusable first stage and ten Iridium communication satellites on board blasted off Friday from a site in California. The first stage of Falcon 9 rocket successfully landed after deployment of the commercial satellite to geostationary transfer orbit. The first stage of the Falcon 9 rocket has successfully landed on the floating drone ship after launching the third net of the Iridium communication satellites, according to the live broadcast by the SpaceX aerospace manufacturer.